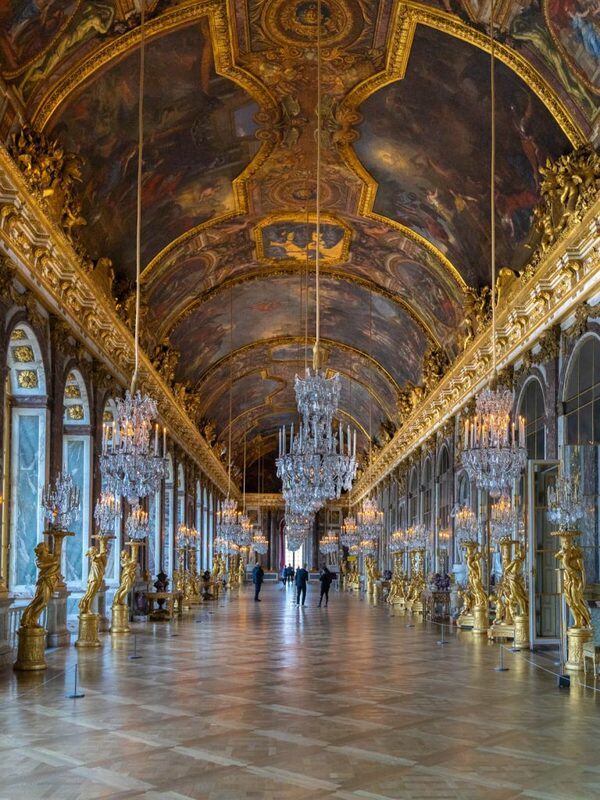 I feel incredibly fortunate to be able to say that I have visited the Palace of Versailles twice now. 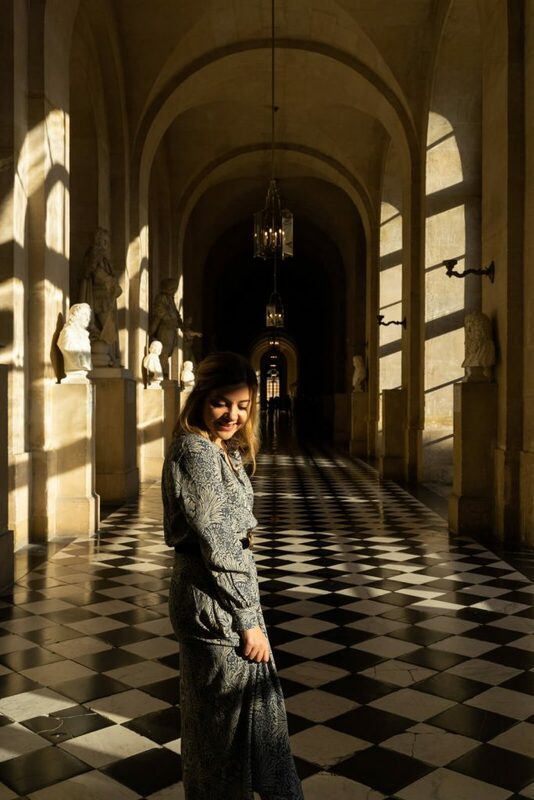 The first time; I was 16 and I had bravely decided to do a 2 week solo school exchange to Paris in the holidays and one of the days they had planned was to take me to Versailles. Having only left the UK once or twice before and the internet still being relatively new to most people (hard to believe now), I never knew that buildings like this existed. The worst thing is that cameras were still using film at that point so I couldn’t take a lot of photos to show people on my return, so what I did was buy postcards from the gift shop which I then treated like holiday photos. It sounds like a different world, doesn’t it? It didn’t have quite the same effect but it was better than nothing! 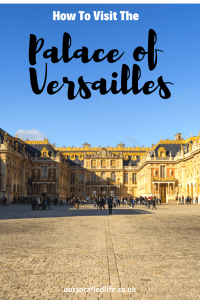 We are lucky to have countless castles and grand houses in the UK but there is absolutely nothing on the same level as the Palace of Versailles and for 14 years it remained the most incredible place I had ever visited. I was always recommending it. 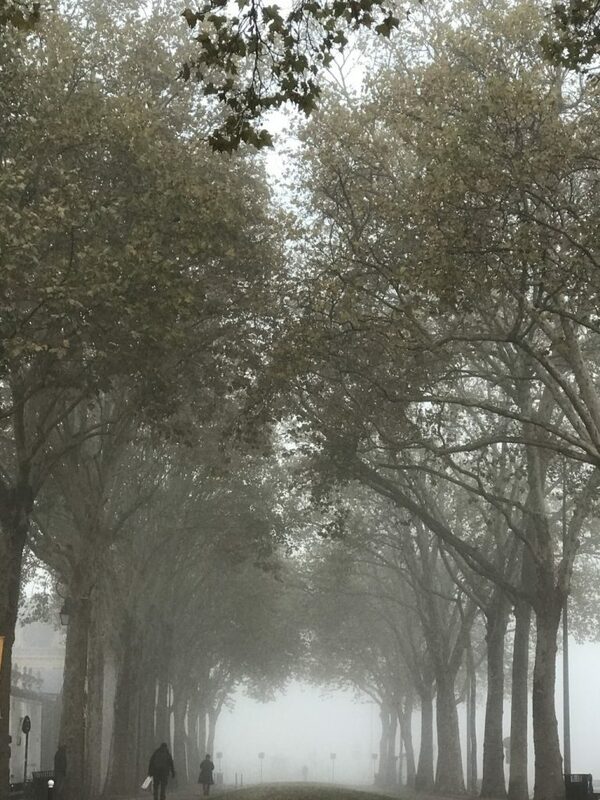 ‘Going to Paris? 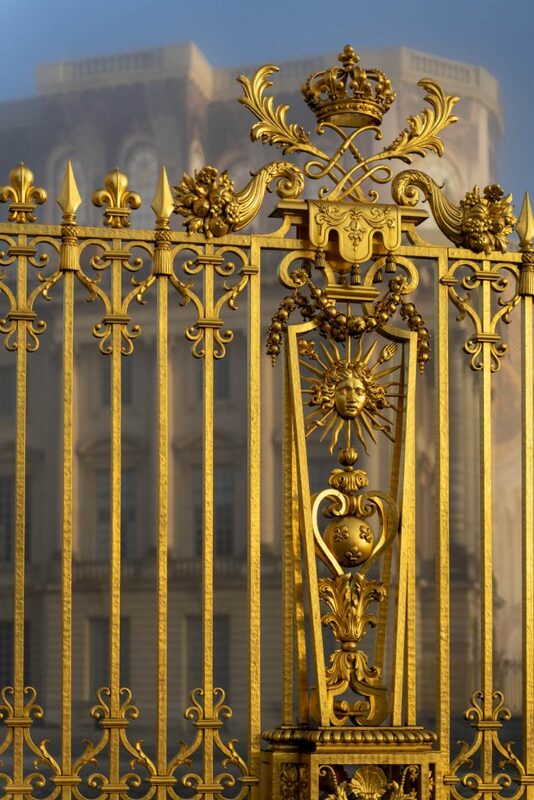 You must go to the Palace of Versailles!’. But I had never been back. This place left such an impression on me but I had nothing to show from my first visit and my words couldn’t convey how incredible it was. Paris is one of the few holiday destinations that you can fly to from Aberdeen and when looking for a last minute, long weekend trip, this seemed the best and most affordable option for us. Perhaps it was always so readily available to visit, that we had taken it for granted. ‘Oh, we can go there anytime’ but in reality, we had never actually considered it. 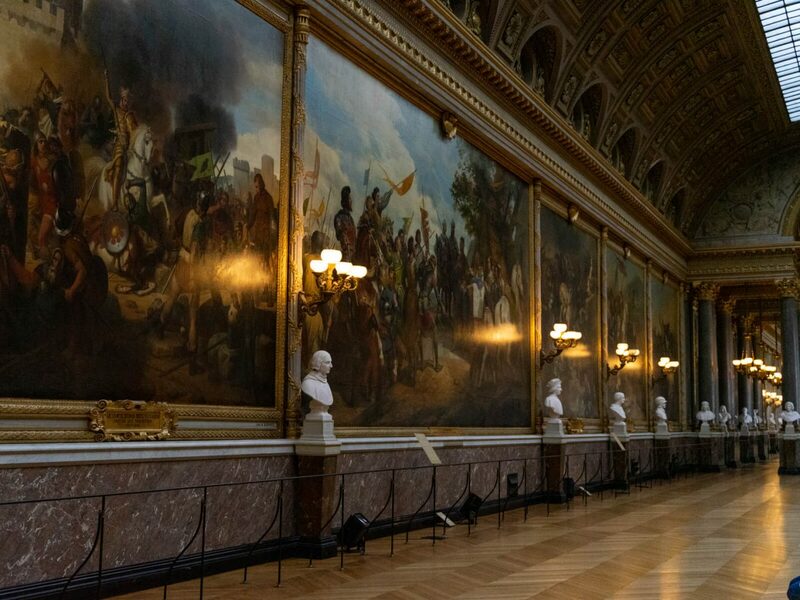 As soon as we booked our flights and accommodation in Paris, I told Peter that we had to go to Versailles. And much like my 16-year-old self, he didn’t know anything about it. 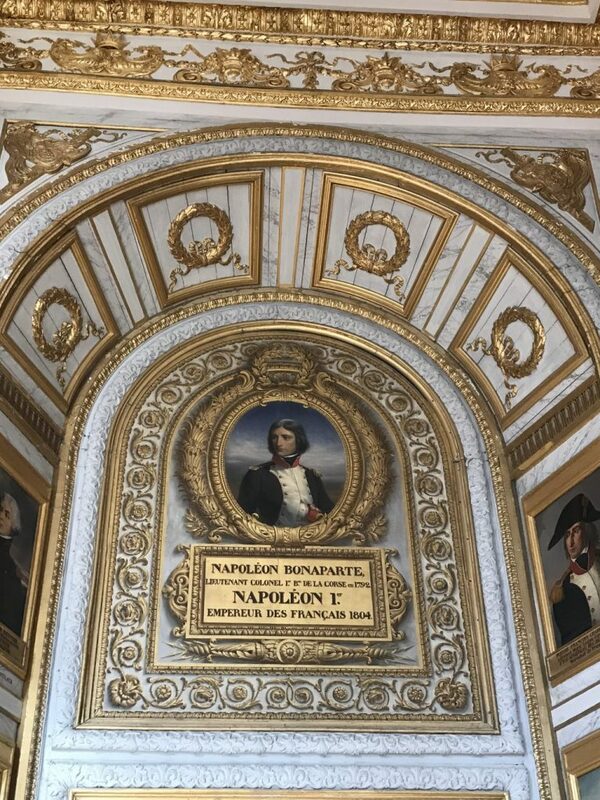 By that point, I was all over it stressing that it was the most incredible place he would ever see in his life and they have the hall of mirrors and Napoleon lived there, royals and Marie Antoinette. One thing I remembered, even from all those years ago was how busy it was. As I said, we have a lot of incredible buildings in the UK but for the most part, you tend to have the ability to just stroll in. Thankfully, these extreme queuing times are not something I am overly familiar with, and I don’t intend on becoming accustomed to them either. Especially when time is limited. 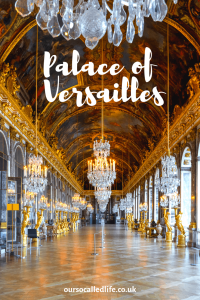 So perhaps one of the best tips I can offer you is to buy your tickets to the Palace of Versailles online, in advance!! Do not even consider buying them at the ticket office on the day as you will have a long queue to buy tickets, and then you join a separate, even longer queue to gain entry. We are talking hours of time spent queuing. 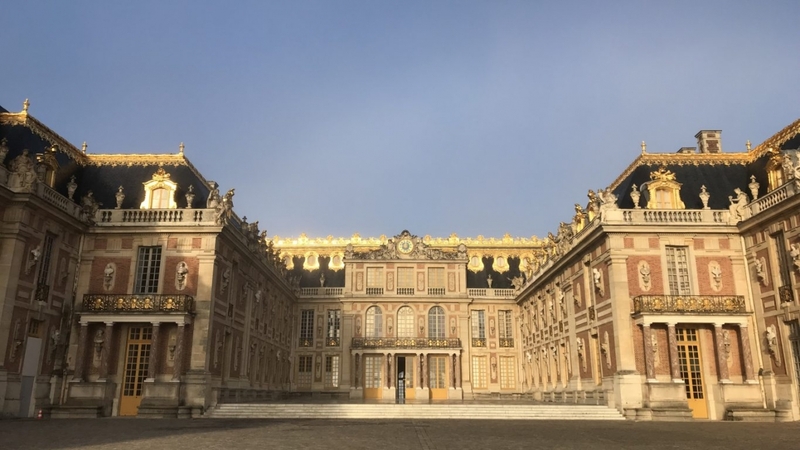 Tickets/day passports cost €20 for adults which gives you full access to the Palace of Versailles, Petit Trianon and the Palace of Versailles gardens, with children under 18 (or under 26 if living in the EU) getting free admission. Guided tours are also available for an added cost and require prior reservation. 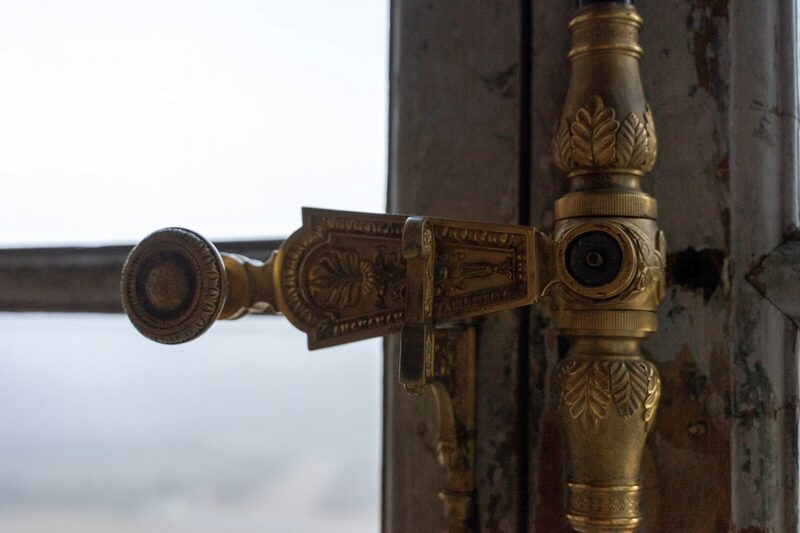 I would also strongly advise you to purchase a ticket with timed entry as it guarantees access to the palace within half an hour of the selected time. Me being me, I wanted to experience it and get pictures without the hordes of people that I knew would be there later in the day. 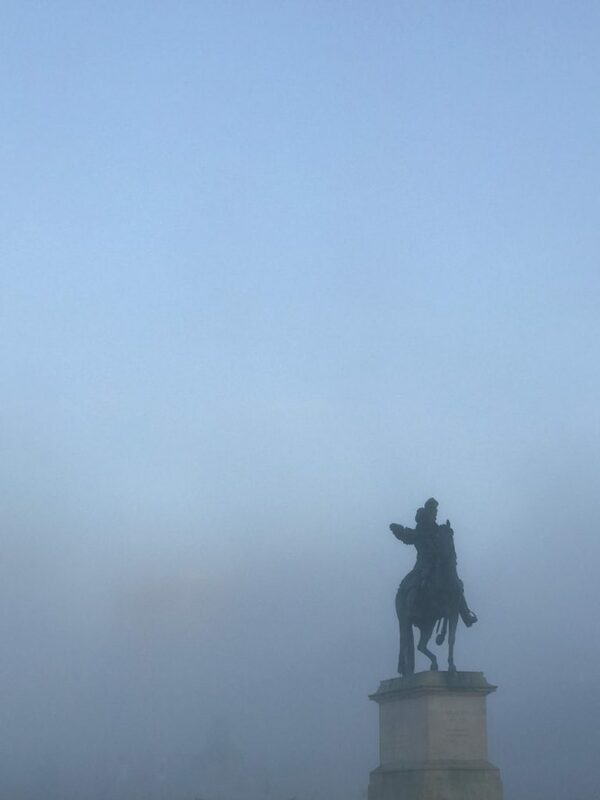 Bearing in mind that Versailles is almost an hours train journey outside of Paris, we were up at 6 am in order to get there for the 9 am opening (a return ticket from Paris to Versailles costs approx €7.50). Taking the train to Versailles Chateau/Rive Gauche, we reached the Palace of Versailles entrance at around 8.15am and we stood in the queue from then. And we weren’t the only ones. There were tour buses and tour buses and then smaller pairings like us. We visited in early November, so I can only imagine how early you would have to arrive for the summer months. However, once the doors open it is a very quick entry through security and you are on your way. 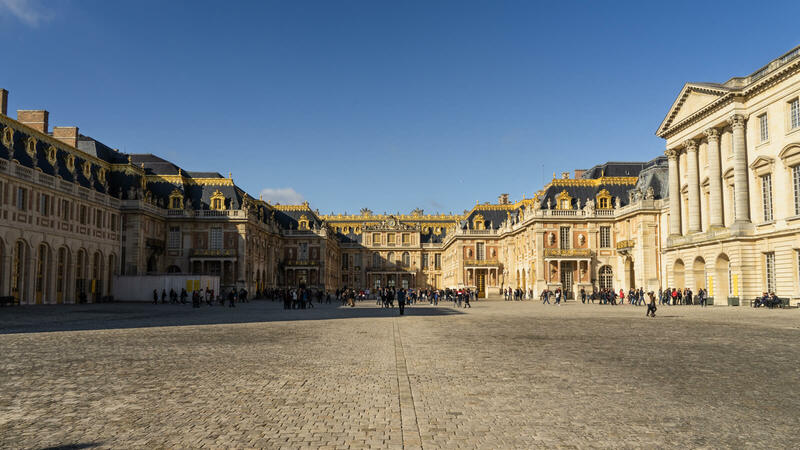 Your walk through the Palace of Versailles is, for the most part, a one-way system. So get there early, enjoy experiencing it fully but don’t rush as you can’t go back. 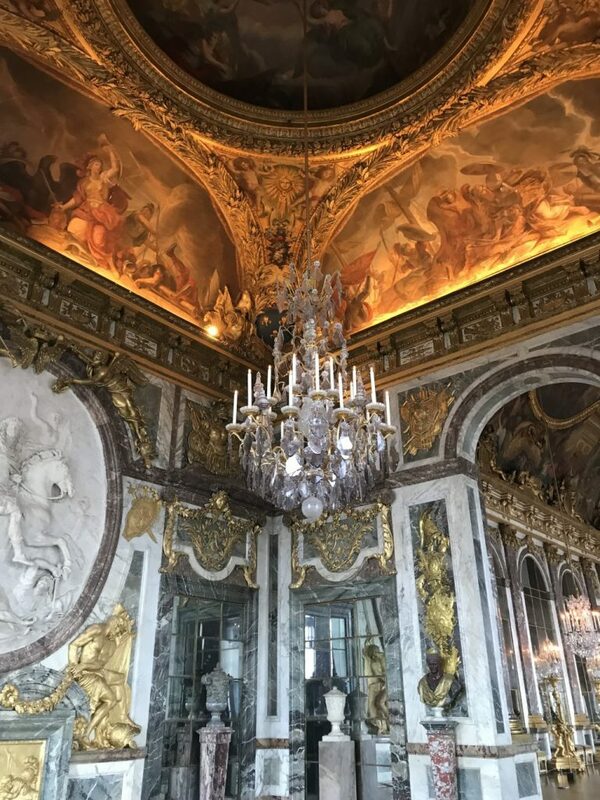 Probably the most famous room in the Palace of Versailles is The Galerie des Glace (hall of mirrors) and this is the room that I was most keen to return to. It is incredibly, extra. Filled with mirrors (obviously) and gilded statues, beaming in natural light which cast the most flattering shadows and with chandeliers aplenty. 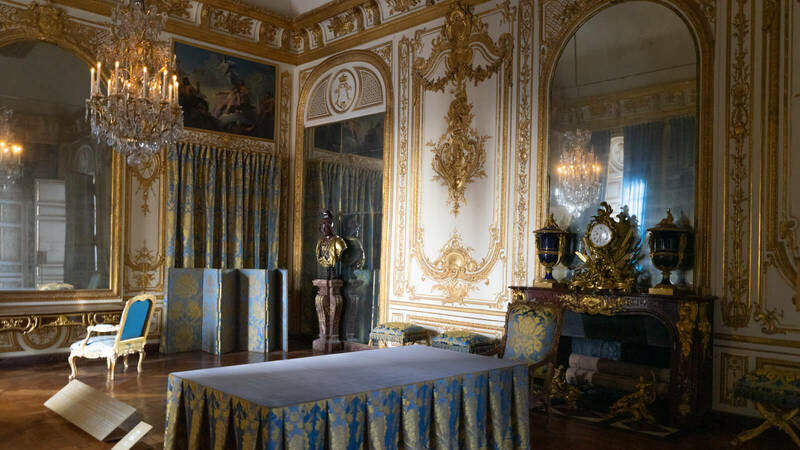 This room in itself is such an incredible sight to see but it also overlooks the incredible Palace of Versailles gardens. 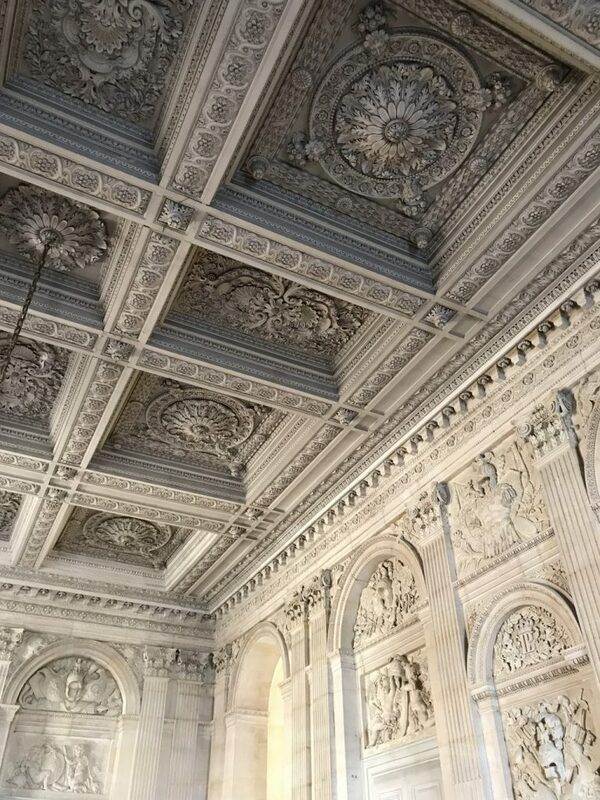 The Château de Versailles has so many rooms which are all so different and each tells a story, whether of war and peace or Gods and Goddesses; the palace holds a lot of references to Greek mythology as was the trend at the time of redecoration. The attention to detail in every aspect of every room is unbelievable. From floor to ceiling, curtain ties to ceiling murals. Velvet wallpaper and parquet floors. 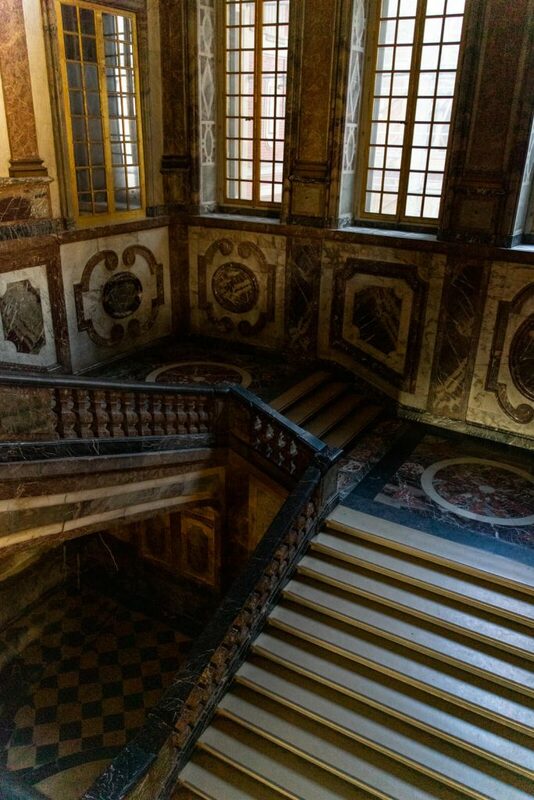 I left the Palace of Versailles rethinking everything my home has. For some reason, velvet wallpaper doesn’t seem like a bad idea after a couple of hours in this place. 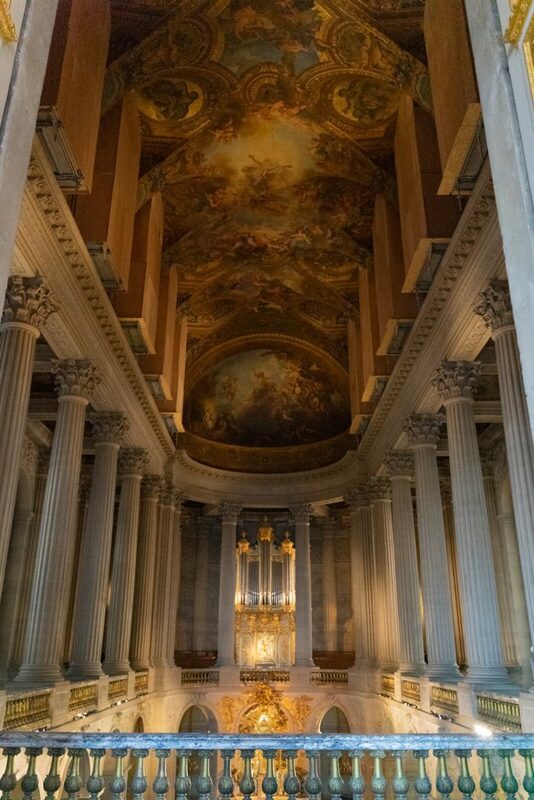 For the second time, I have left the Palace of Versailles with a full heart. It’s funny because the photos I have shown people on this return, they all tell me how thrilled I look to be there. And I was. I have just fallen more in love and I also look forward to going back again. 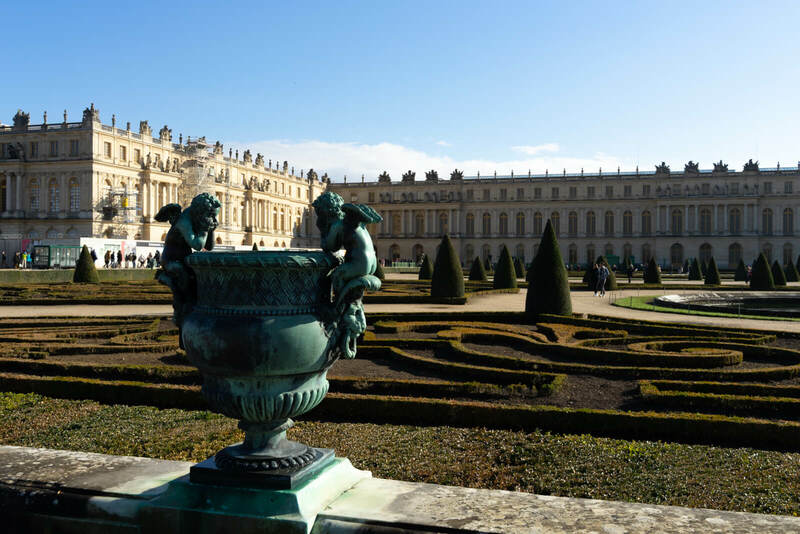 Outside, you have the Palace of Versailles gardens which cover 800 hectares. 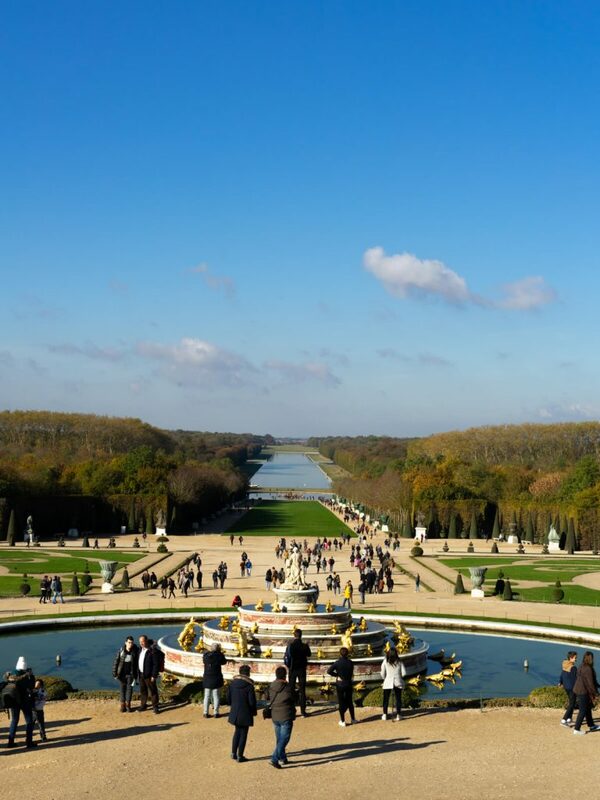 Nearly 2000 acres with over 200,000 trees, 50 fountains, a grand canal and much more. The gardens are free to enter to the public during the winter months but you do have to pay a fee during the summer months or April-October as there are musical fountain shows. Not only are there musical fountains in the gardens of Versailles, which sprout water to the rhythm of music but there are musical gardens where music is played throughout the groves. Make sure to view the musical fountains show timings before visiting if this is something that interest you, as they are not on daily. 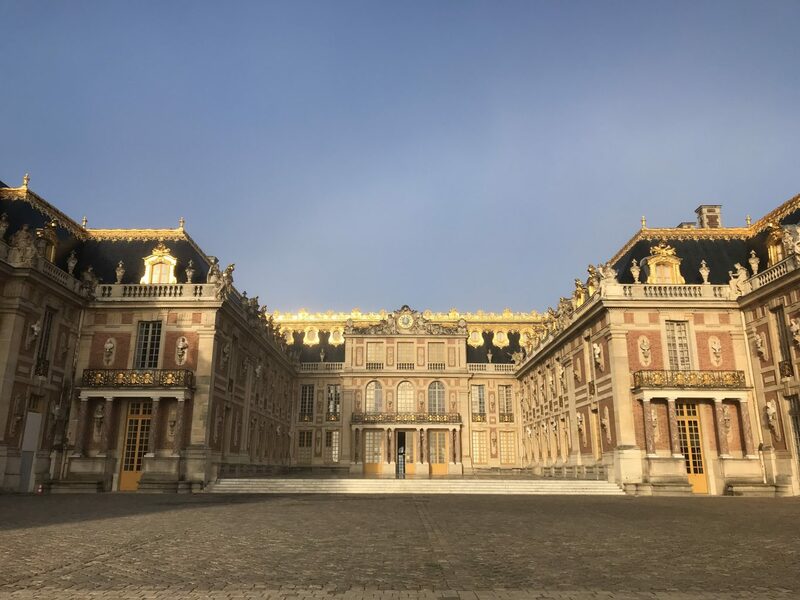 You also have the estate of Trianon, consisting of Grand Trianon and Petit Trianon, which are located in the grounds of the Palace of Versailles. Petit Trianon is most closely associated with Marie-Antoinette so if it’s the Queen you are interested in, that’s the place to go! Not only that, but there is the coach gallery in the great stables. To see the carriages that transported these historical figures is amazing, the attention to detail was certainly not left in the palace. If you are looking for food in the Palace of Versailles, you will not be disappointed as they hold two of the best known French names, Ladurée and Angelina. We chose to stop at Angelina’s for their famous signature dish Mont-Blanc, which is meringue, whipped cream and chestnut cream vermicelli. 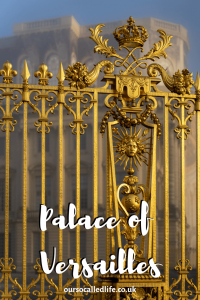 If you really want to avoid queues, then get your tickets for the palace before you visit and make sure that you’re at the gates at least an hour before the palace opens. Any later and you’ll definitely be stuck in queues.